Ethiopian moist evergreen Afromontane forests are vital for the conservation of plant diversity, including genetic pools of Coffea arabica L. However, these forests are continuously shrinking and need empirical scientific studies for their effective conservation and sustainable management. 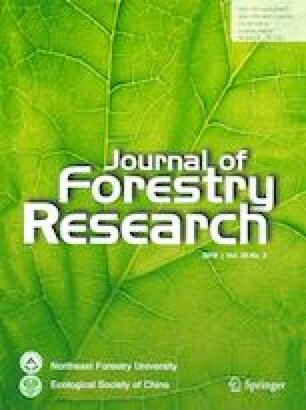 This study was, therefore, conducted to assess woody species composition, diversity, endemicity, structure, plant communities, and environmental determinants in Sirso moist evergreen Afromontane forest of southern Ethiopia. Environmental variables such as altitude, slope, aspect, disturbance levels, and geographical location were recorded for each main plots. Vegetation structure and importance value index (IVI), diversity, vegetation classification, and correlation with environmental factors were analyzed. A total of 74 woody species representing 70 genera and 34 families were identified. Seven species were endemic. Rhus glutinosa A. Rich subsp. glutinosa and Prunus africana (Hook.f.) Kalkm. were species categorized as vulnerable according to the IUCN red list category. The highest number of species was recorded for the Rubiaceae family (8), followed by Euphorbiaceae (6), and Asteraceae (6). Five plant communities were identified: Maesa lanceolata–Dombeya torrida, Galiniera saxifraga–Cyathea manniana, Vepris dainellii–Triumfetta tomentosa, Dracaena fragrans–Rytigynia neglecta, and Arundinaria alpina. The distribution of these communities depends on altitude, slope, and disturbance factors. Syzygium guineense (Wild.) DC., Schefflera abyssinica (Hochst. ex A. Rich.) Harms, and Galiniera saxifraga (Hochst.) Bridson were species with the highest IVI, while P. africana, Cordia africana Lam., Hagenia abyssinica (Bruce) J.F.Gmelin, Bridelia micrantha (Hochst.) Baill., and C. arabica had the lowest. Population structure of woody species showed an inverted J-shape, a J-shape, a bell-shape, and an irregular shaped pattern. These latter three population structure revealed signs of disturbances, and were negatively correlated with altitude and slope. The study showed that the Sirso moist evergreen Afromontane forest is species rich and should be given conservation priority to maintain endemic and native species. Project funding: The project was fully funded by the Ethiopian Biodiversity Institute and NORAD project, Hawassa University. The online version of this article ( https://doi.org/10.1007/s11676-019-00894-0) contains supplementary material, which is available to authorized users. Our special thanks go to Dr. Debisa Lemessa, senior researcher and director of forest and range land plants diversity Directorate in the Ethiopian Biodiversity Institute for his unreserved assistance during methodology development and data analysis. We are grateful to Melese Bekele, Sisay Alemu, and Kedir Erbo, junior researchers in the Ethiopian Biodiversity Institute for their assistance during data collection and data analysis. We would also like to show our gratitude to Gorfu Goshu, forester in environmental protection and forest office of Melokoza district and Gido Gigo and Habtamu Chanko, farmers in Melokoza district for their assistance during data collection. We also extend our gratitude to the Ethiopian Biodiversity Institute and to Hawassa University for logistic and financial support for field data collection.